Hey there! Thanks for dropping by Games and Things! Take a look around and grab the RSS feed to stay updated. See you around! How to get Free Paypal Cash Legit! Hey guys Justin here and today I am going to tell you how you can get free paypal cash! It is on a site called Rebelbucks. Heres some proof that I actually got paid! Now see that the payments were for 3.05 and 2.14 in cash. 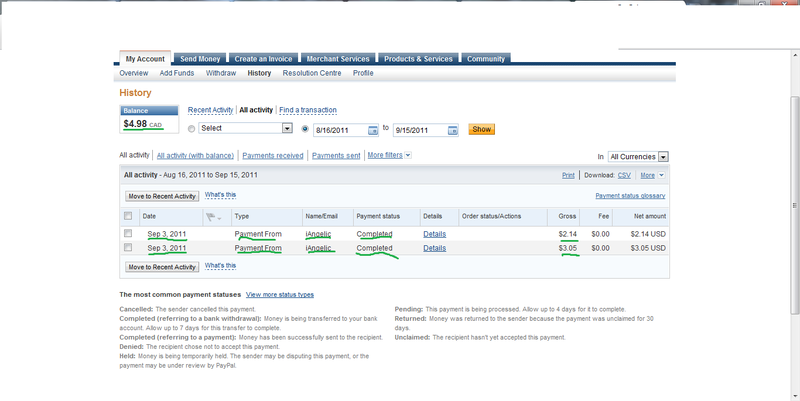 Here is the paypal image that shows that I have recieved payments. So as you can see I have made around 5$ in a short day of doing offers. Another thing is that I am in Canada so I do not have many offers available to me but in the USA there are many free offers that bring 1$ + per 5 min offer. so if you work hard at it you can be making 15$ to 20$+ a day just from the offers. Another good thing is that the Paypal minimum cashout is only 1$ so even if you dont do well you can still collect your earnings! Another good thing is that you get paid through Paypal! This is great because you can use Paypal for literally anything on eBay! I have seen people make over 1000$ from this program for some great extra income. 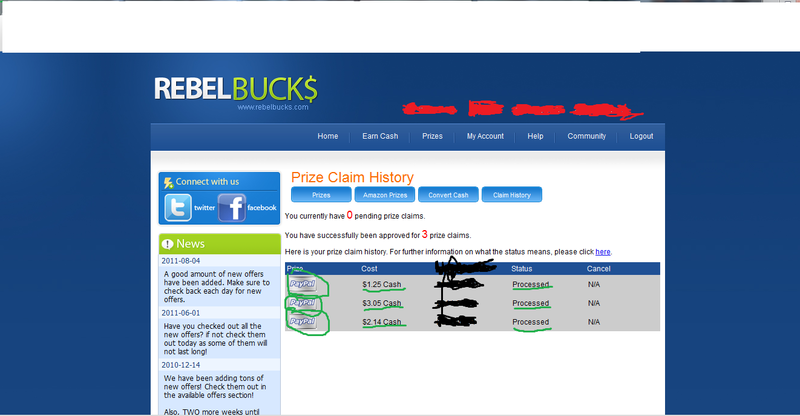 Another aspect of Rebelbucks is that most of the offers are free so all you need to make some money is time! There is also a great referral system that you get 20% of your referrals earnings. So if you get 100 referrals that made 5$ each, which is pretty easy by the way, you get an extra 100$ for yourself while your referals are still making their full share from the offers! Also as you can see in the pictures above I have received payments very quickly after starting the program. This is one of the only sites like this that I have found that actually work many of the others are scams.